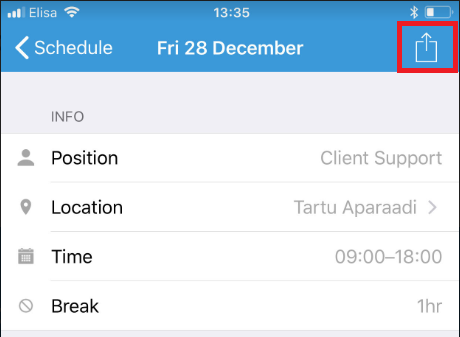 You can add shift from the PARiM app to your phone´s calendar by simply opening the shift details and exporting it. 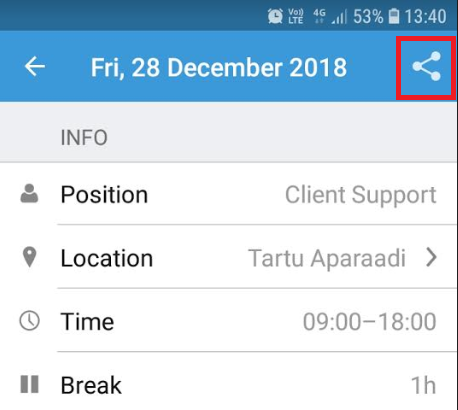 If you open the shift on the PARiM Android app you will find a small sharing icon on the top right corner - tap on that to add that shift to your Google calendar. If you open the shift on the PARiM iOS app you will find a small sharing icon on the top right corner - tap on that to add that shift to your calendar.